Checking in with some news. I am nearly completed revising The Blind Cupid. I will be getting the rights back December 1st, so I want it ready to go to be republished right away. I will be re-releasing The Blind Cupid as THE SPINSTER AND MR. GLOVER (cover art coming soon) and the story is now 14,000+ words. I also dialed back the heat a notch or two (or three!) as the story for The Edge line had to be erotica. I also expanded the plot and characters. I am able to get back the rights to The Governess and the Beast (book 2) next spring. Book 3 The Copper and the Madam next fall. I am actually enjoying revisiting these old stories. Like visiting an old, dear friend. 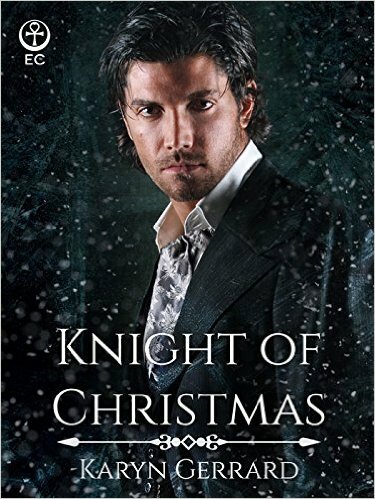 Next up, I asked for the rights back to KNIGHT OF CHRISTMAS from Ellora's Cave (released Dec 2014). I'm not holding my breath. They are in breach of contract, but they have basically told other authors who pointed this out to them to 'go ahead and sue us.' I sent 2 emails about a month ago, no response. In the meantime, I'm not getting paid. Thankfully I only have one book there. Do I recommend Ellora's Cave to writers and readers? No. How's that for a short answer? Due to continued stress, I am cutting back. I have contracts to fulfill and I will certainly do that, but I have no plans beyond those for the time being. Well, except re-work revised manuscripts and self-pub them eventually. I am taking a bit of a break. Perhaps after a period time I will be eager to dive into a new series or story. In fact, due to health and other issues, I pulled a submission from a publisher. I hate doing that, not sure they even looked at it yet as no one contacted me on the status, but I have to put me and my family first. And Bold Seduction, a historical with Kensington Publishing's Digital line, Lyrical Press. Check it out HERE.